Just hours after police in Ferguson, Missouri, asked those protesting the shooting of 18-year-old Michael Brown to behave in an “organized and respectful manner” and refrain from demonstrating for a third straight night, two reporters covering the story reported on Twitter that they were arrested. Wesley Lowery, a Pulitzer Prize–winning Washington Post political reporter, and Ryan Reilly, a Huffington Post justice reporter, said after their release that they were working in a McDonald’s when police entered and told everyone to leave. Lowrey tweeted that officers arrested them because they “decided we weren’t leaving McDonalds quickly enough, shouldn’t have been taping them.” Both journalists say they were assaulted. “Officers slammed me into a fountain soda machine because I was confused about which door they were asking me to walk out of,” Lowery tweeted. Reilly tweeted a photo of the officers when they entered the McDonald’s just before 8 p.m. Lowery said they told everyone to leave. "We cannot guarantee your safety. We will not be answering 911 calls"
Colleagues became worried when the reporters stopped answering their phones and officers were spotted making arrests nearby. I just called Ferguson police chief to ask about @WesleyLowery and @ryanjreilly, told him what I knew. His response: "Oh, God." An hour later, the two reporters said they’d been taken into custody. Well, @WesleyLowery and I have been released. That was an experience. They said the officers assaulted them during their arrest. Unfortunately my last Vine featuring the officer who assaulted me was deleted when other my phone died. Lowery said he witnessed a situation reminiscent of the Eric Garner tragedy in New York. They were then released with no charges, and police refused to provide any information about the arrest. Police now say there might be a report available to Ryan and I in "a week or two"
Journalists weren’t given any information about Reilly and Lowery when they called the Ferguson Police Department to ask about their status. The Huffington Post said someone named “George” answered the phone and said no one could tell them anything about the reporters. He mumbled his last name, and when asked for the spelling, he hung up. 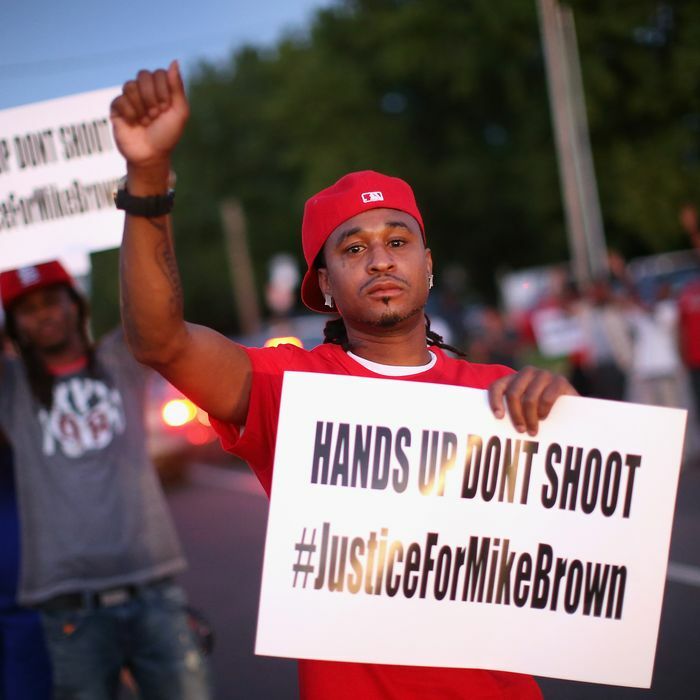 When the Huffington Post called back, they were put through to the “Ferguson jail” voice-mail. Ferguson chief tells me @WesleyLowery and @ryanjreilly's arresters were "probably somebody who didn't know better." Lowery and Reilly have resumed their reporting on tonight’s protests, and emphasized that many on the streets in Ferguson have been treated more harshly by police.